I absolutely LOVE shopping at Kohl's! I love their clearance and coupons! I saved over $500 in one trip on back-to-school clothes for my kiddos shopping clearance and using coupons! 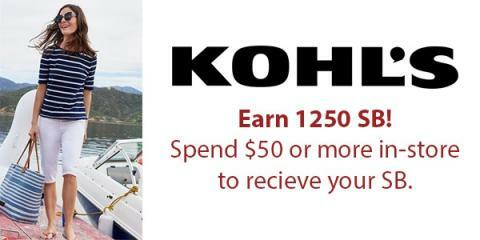 Right now, Swagbucks has a deal where you can get 25% back when you spend $50 at Kohl’s, and that's before any deals you'll get through Kohl's Cash. 1. Sign up for Swagbucks - it's totally free - if you haven't already. Make sure you create your "Swag Name" after you sign up. 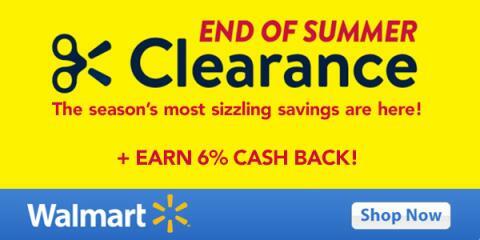 Walmart is running huge deals all week long on everything from clothing and jewelry to home electronics, grills, and toys, and Swagbucks is offering 6% cash back (in the form of SB Points) for every dollar you spend through Sunday. 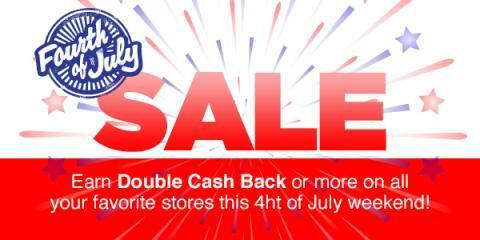 Whatever you need this summer, now's the time to buy it and get rewarded for doing it. estories - get 50% off for 3 months plus up to 2000 SB! 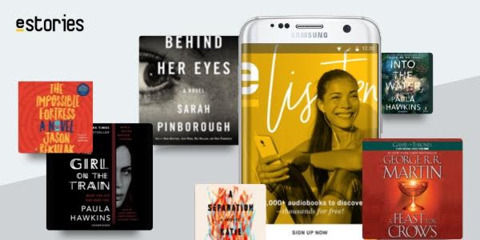 If you're looking for a deal on audiobooks, there's an estories offer through Swagbucks where you get up to 2000 SB for paying $5.99/month for your first three months, which is 50% their normal rate. You get 800 SB when you sign up, and once your third monthly payment of $5.99, you get an additional 1200 SB. You can use estories to easily stream or download stories to your iPhone, iPad, Android, PC or Mac. So even if you only try it for the first month, you still make money on the offer, since you're spending $5.99 and your get 800 SB (equivalent to $8). Plus, if you're also signing up for Swagbucks through this offer, you'll earn an additional 300 SB bonus paid out at the beginning of next month.